The first thing Durango and Silverton trains encounter upon leaving the Durango depot is the crossing of busy four-lane College Avenue. 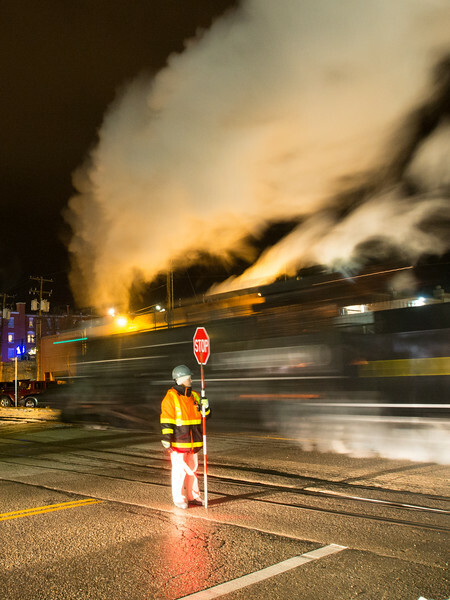 Given the volume of traffic on the highway and the frequency of back-and-forth switching maneuvers involved in making up each day's passenger consists, the railroad has elected to employ an old-fashioned crossing guard in lieu of the more conventional flashers and gates. This permits better traffic flow as the guard can employ his/her judgement on when the road actually needs to be blocked.